Although Sony's mid-range lineup is not very prolific, this year we got treated to the not-too-shabby Xperia XA2 and XA2 Ultra, two phones that we reviewed and loved. The duo was announced at CES in Vegas in early January this year, and it seems like a follow-up is well on the way. CAD-based renders of a presumed Xperia XA3 just popped on the interwebs, giving us a sneak peek at what the device would bring forth. In particular, there's a dual-camera on the XA3, which is still a rarity for Sony devices these days. 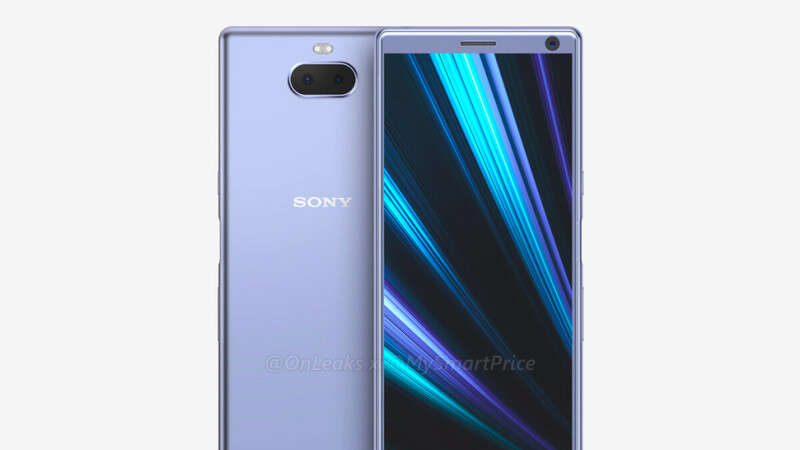 Additionally, it's expected to be Sony's first device with a 9:18 screen, which has been reserved for the more premium devices thus far. Don't fret by the lack of a fingerprint sensor at the back - Sony has embedded that one in the power button on the side of the phone. In terms of specs, the device is expected to boast a 5.9-inch display with a Full HD resolution of 1080 by 2160 pixels. Powered by a Snapdragon 660 and coming nicely along with up to 6GB of RAM in the boot. Android 9.0 Pie seems to be making the rounds on this phone, which is definitely nice. Check out the CAD-based renders below and make sure to share your thoughts on this upcoming mid-ranger. Do you like it or not at all? Let us know! I Like it. But its a whole phone too late. Maybe I will buy it next time around. I was so looking forward to buying a Sony again. XA2 ultra was for phat kids with phat hands. Headphone jack, dual camera, side fps! this phone is probably better than the flagship. This style kinda reminds me of the Xperia Z1, an absolutely gorgeous phone. Very nice. I like it. Looks clean and modern. Also, the fingerprint sensor is placed better on the side, than too low on the back. Don't tell me Sony's going back to fingerprint scanners that don't work in the US. This is a nice, modern-looking phone which may fix what ails the current XA series - camera. Only if the corners of the screen were rounded to match the symmetry of the corners of the phone, this design would be extremely beautiful! Awesome design the back looks different from other phones wich is great. And it looks better than Samsung mid-range smartphones!!! Awesome design the back looks different from other phones wich is great. And it looks better than Samsung mid-range smartphones!